Towards the end of every summer, it’s not uncommon to find our leadership team on the back porch of cabins talking with counselors about their future plans. In many cases the future is clear, and camp is in it. For others, it’s a worrying conundrum. Mounting pressure to forego a summer here at Tecumseh in favor of an internship is higher than ever. 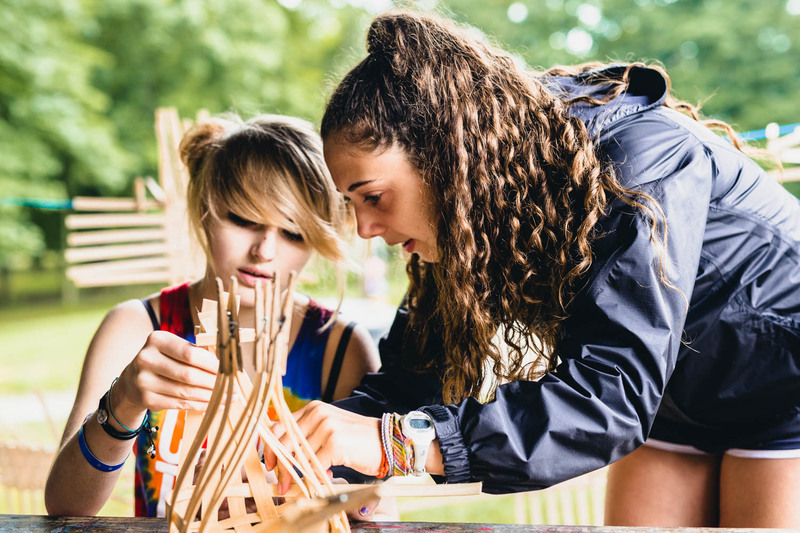 For staff members going into fields like counseling, teaching, camping, and non-profit work, coming back to Camp fulfills those professional goals, but what does Tecumseh have to offer our counselors who go on to become business leaders, engineers, doctors, and lawyers? Quite a bit actually. There’s never been a better time to be a Tecumseh counselor. Employers want the skills you develop at Tecumseh. 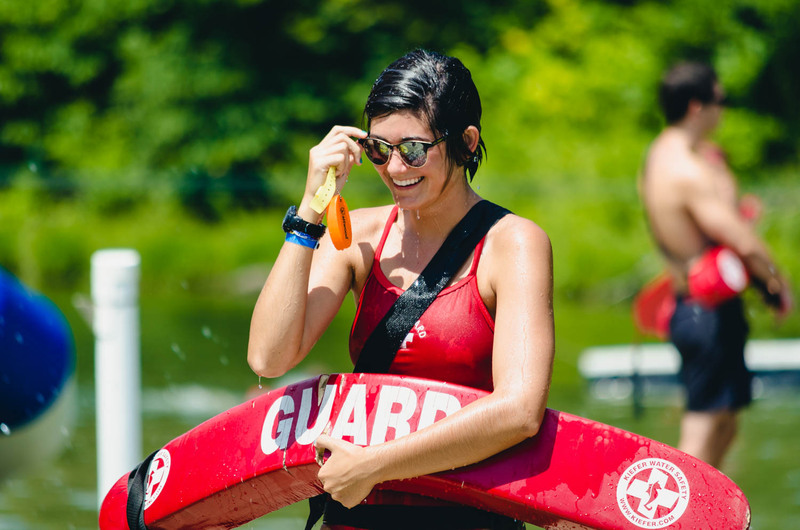 Few opportunities allow for the kind of professional growth our counselors experience at Camp Tecumseh. In a survey of 200 employers, the National Association of Colleges and Employers found that the top priorities in new hires included leadership, collaboration, communication, problem-solving skills, initiative, flexibility, and a strong work ethic. However, most employers say potential applicants lack these skills. New hires can’t think critically and creatively, solve complex problems, think on their feet, lead a team, or effectively communicate their ideas. Many internships, especially unpaid internships, fail to develop young people in these areas. According to recent reports, unpaid internships offer, “no advantage to job-seeking students.” In numerous cases, interns, both paid and unpaid, report leaving their employment bored, underutilized, having done the unglamorous work left behind by the company’s employees. Real connections, the lack of access to responsibilities that demonstrate key skills, and exposure to unique experiences just aren’t available through many internship offerings. 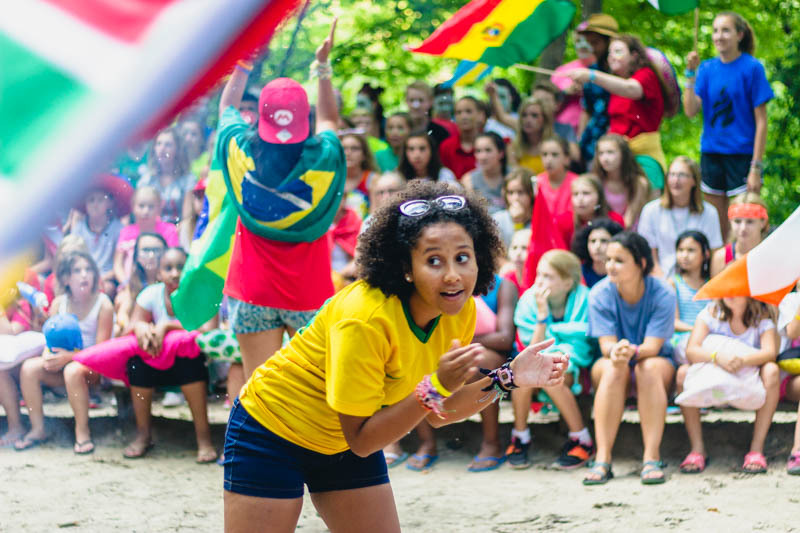 Lead a cabin of 10 campers with decision making authority. Plan a week long schedule with their fellow counselors. Coordinate with their counselor and fellow counselors to lead activities. Develop creative new activities with limited time and a limited budget. 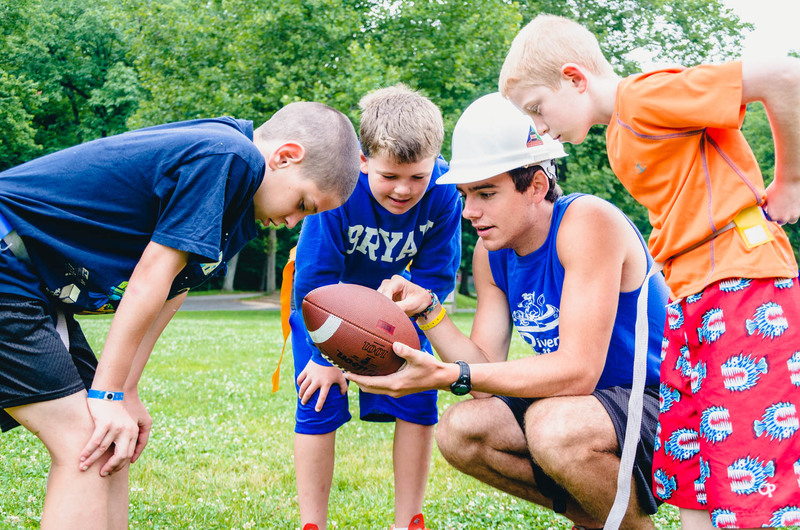 Build meaningful mentor relationships with campers in the span of a week. Lead team-building activities and facilitate discussion. Manage conflict and resolve disputes. Give presentations in front of groups as large as 600. Communicate with campers and parents. Adapt schedules and programs based on changing circumstances. Provide customer service that exceeds expectations while modeling and maintaining camp culture and meeting camp’s mission. Few internships offer these kinds of opportunities for growth. Few starting full-time positions offer these kinds of opportunities for growth. And this kind of growth is important. Many employers are more interested in hiring individuals with a proven track record of leadership, collaboration, and communication than individuals who possess only system knowledge or technical skills. Not because system knowledge and technical skills aren’t important, but because they are easier to teach than leadership, communication, and collaboration. Camp Tecumseh provides the experience employers want to hear about in job interviews. Talk to our staff alumni who are happily employed in their dream careers and you’ll hear a familiar refrain: “My Camp experience played a big part in getting hired.” To be fair, our counselors are amazing applicants. Well-educated from prestigious schools, leaders of organizations big and small, disciplined workers with a knack for finding joy in tough situations, we only hire the best for a reason. That said, Camp provides opportunities to turn those attributes into a real-life work experience that translates into the kind of answers employers are looking for in job interviews. Michael Kraft’s Camp experience didn’t just land him a highly competitive post in the Air Force. His Camp experience has accelerated his Air Force career. You make a difference at Camp Tecumseh. 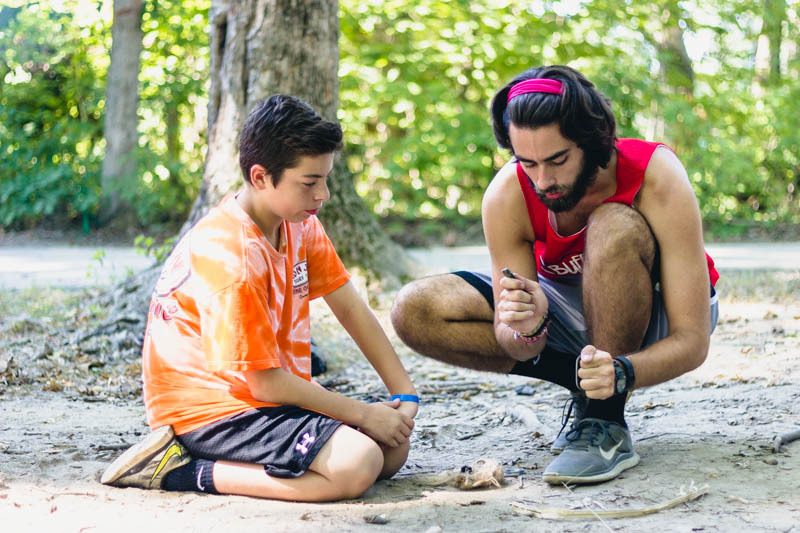 Working as a counselor at Camp Tecumseh offers the opportunity to make an impact. Millennials considers the ability to “make a difference” as a cornerstone of their happiness. 72% of surveyed college students said their ability to make an impact in the world was either very important to them, or essential to their success. Few places offer the opportunity to make such a meaningful impact as camp. The evaluations we receive from parents every summer are strewn with examples of how camp counselors impacted their sons and daughters. Likewise, the difference that our counselors make is one of the driving factors in their desire to return. From helping children make friends, to lovingly and meaningfully introducing campers to faith, to helping campers step out of their comfort zone and grow in character and confidence is the kind of difference making that ripples out from Camp and affects countless lives. It’s the essential mission of camp, and why camp is so valuable for not only children, but for staff. Summer at Tecumseh is a networking opportunity. But Camp T offers more than just skill development. It offers deep, meaningful relationships with a wildly successful group of college students from a variety of fields. 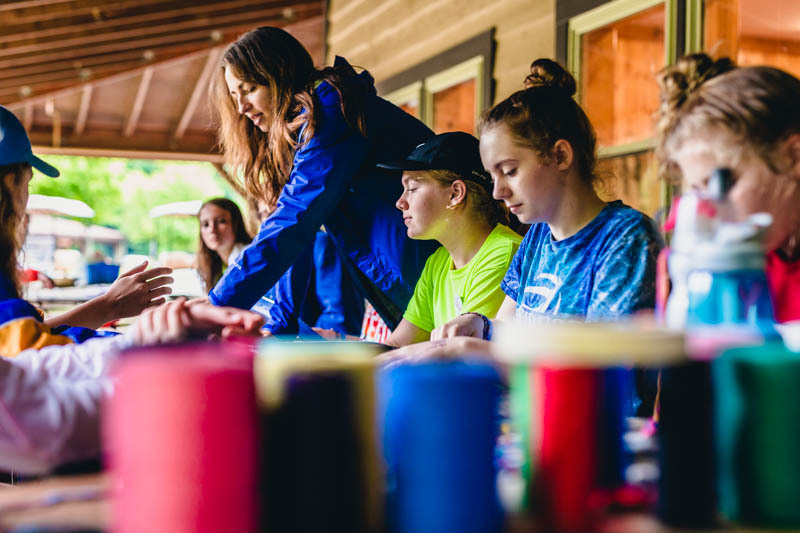 Camp also offers access to a 90-year-old family of campers and staff members scattered throughout the country in a variety of professions who understand just how important and undervalued Tecumseh staff members can be. The tight knit nature of the work creates relationships that last much longer, and have deeper roots than many of the professional acquaintances earned through internships. Tecumseh offers many of the same networking advantages that has made fraternities, sororities, and university alumni networks so valuable. If you’re looking to hire our unbelievably talented counselors, let us know. For many students, internships fulfill graduation criteria and aren’t always optional. 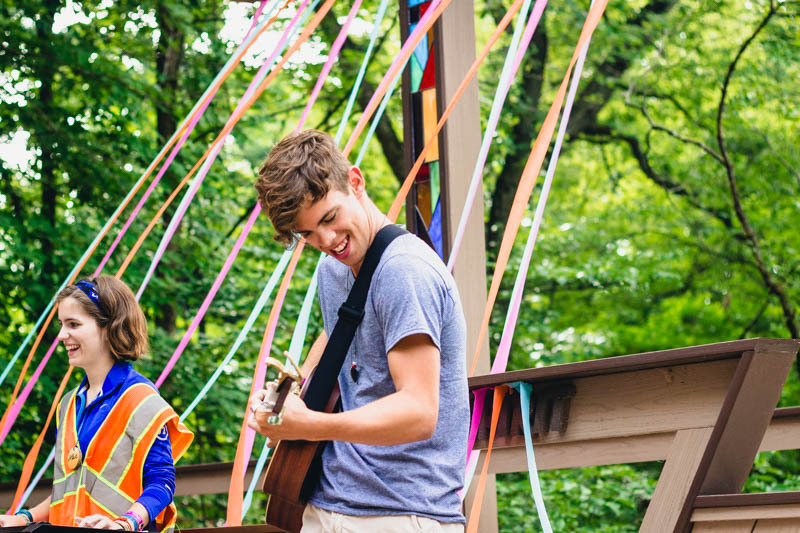 Fortunately, taking an internship doesn’t mean giving up your summer at camp. Internships are being offered more frequently by colleges and companies during the school year. In many cases these internships can supplement what’s happening in the class room, count for program credit, and provide an additional revenue stream while students are in school. The time-frame to be a counselor is small. 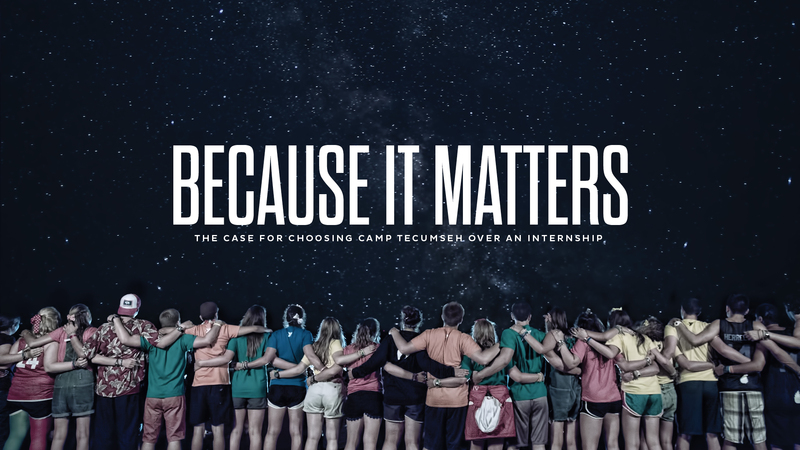 For the few students who are absolutely stuck between choosing between a paid, competitive summer internship that offers the kind of experiences employers are looking for and a summer at camp, summer at camp can still be a better option. It’s a mistake to view those few months of summer solely through the lens of professional development. At what point does the drive to become a successful professional impede personal desires? When do hopes and dreams succumb to “resume building” and “networking” and “the real world?” College offers an exceedingly rare opportunity for individuals to explore, grow, and play while making decisions that professionals rarely can. There should be room in every program of study for selfish decisions, once in a lifetime experiences, and the pursuit of interests that stem only from passion and curiosity. Our counselors have their entire lives to live as professionals. They only have a few years to work at Tecumseh. This article first appeared in the Winter 2014 edition of the Tecumseh Tales. It has been edited and updated.